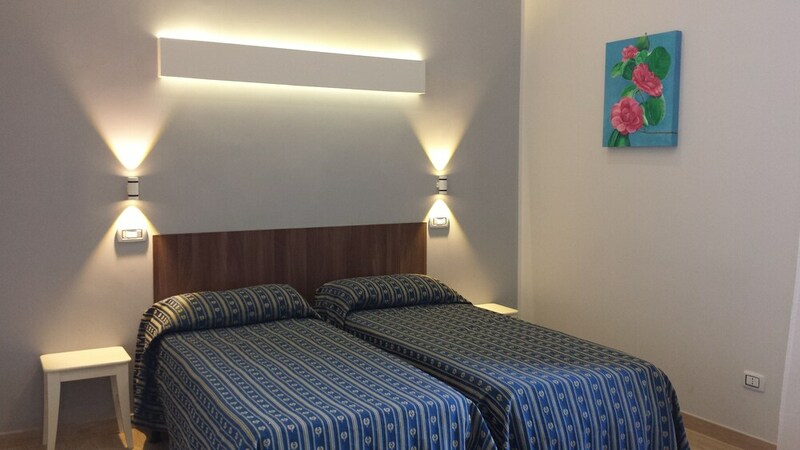 Located in Rome, Hotel Galileo is just 250 metres from the Castro Pretorio Metro Station. It offers a bar, a furnished courtyard and a shared lounge. WiFi is free throughout. 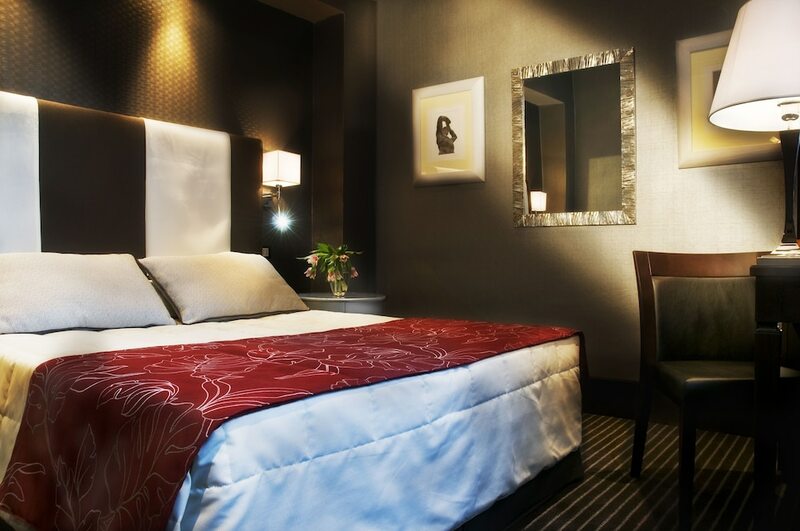 All air conditioned, classic-style rooms here feature a minibar, safe, and satellite flat-screen TV. The private bathroom includes a hairdryer and shower. 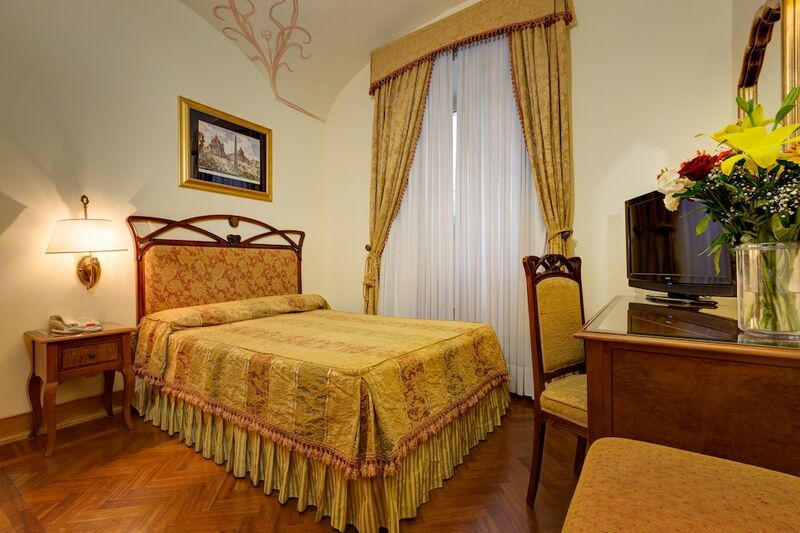 Termini Train Station is a 10-minute walk away. Average hotel with OK facilities. Breakfast could have been better. Only breakfast is available and for other meals one has to go to nearby restaurants. Even coffee and tea arrangements are not available in the rooms. Cleanliness is good. 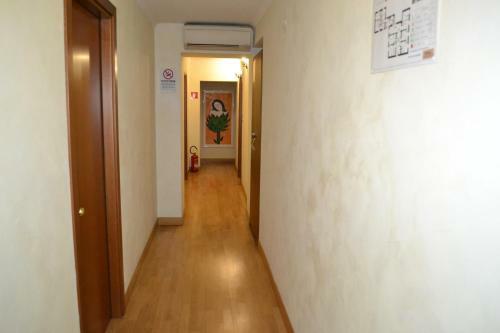 Just OK to stay - This place is around 6-700 from the main station, walkable distance. 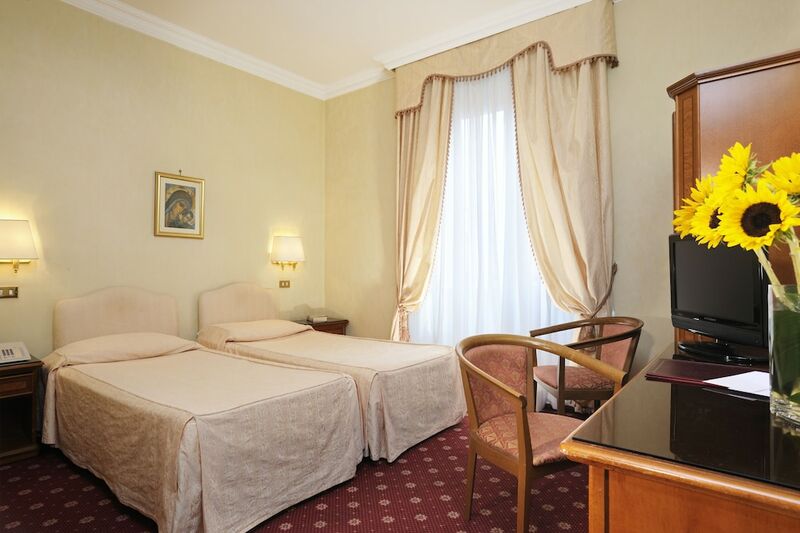 The hotel is about 1 km from the Roma termini train station. One can walk without luggage. The taxi drivers fleece you asking for 20 Euro for this short distance. Only breakfast is available and for other meals one has to go to nearby restaurants. Even coffee and tea arrangements are not available in the rooms. Cleanliness is good. Just OK to stay. 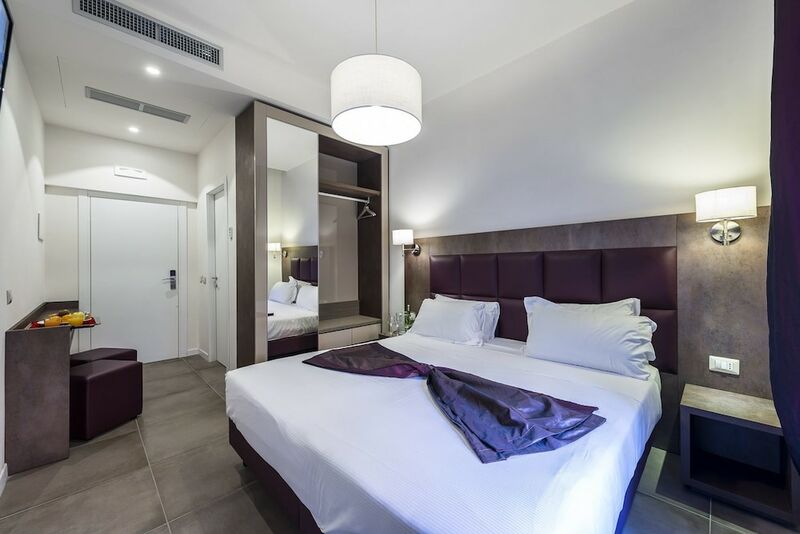 There is nothing negative about hotel, but in the same area there are many other hotels so it is just a matter of luck where you get the cheapest rate go for it. 1)Around 700m From Roma terminal and nothing complex in reaching there 2)Metro Station Castro Petro is 5 mins walking from hotel, from this station you can reach Roma Termini and Colosseum, Roma termini is just next stop and Colosseo is 3rd or 4th Stop, you can use Metro Line MEA, 1 day unlimited Pass in Metro/bus costs 7 Euros. 2)Even Though we bought the colosseum Tickets Online for 14 Euros, I don't feel it is that much necessary to buy it, there are plenty of Guides available and in my opinion without Guides it will be really difficult to visit this Great Place and the whole deal you can get in 25-30 Euro I. E Guided Tour + Ticket Cost. 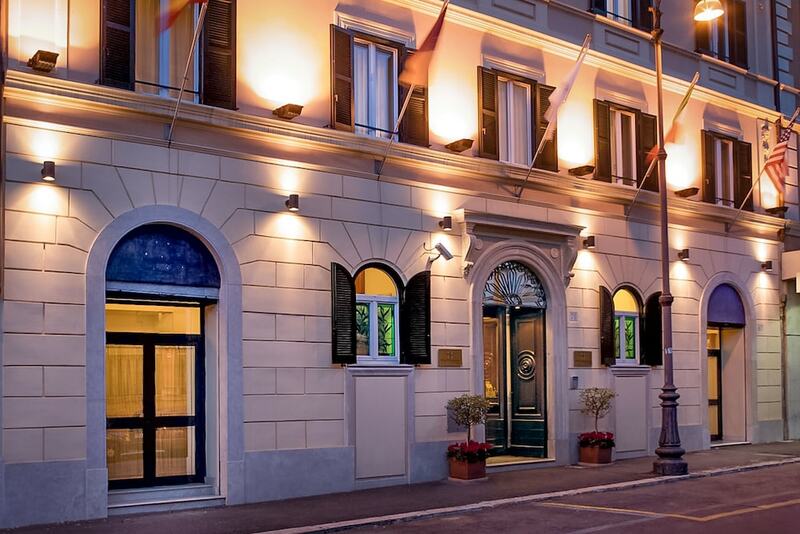 3)Bus Stations are also near to hotel 4)If you are planning to go to airport from hotel, you can easily take a bus from Termini for 6 Euros 5)For Indian Food you can try New Delhi which is 5-7 mins of walk 6)Plenty of options for Non Veg Food around Roma Termini Station. The hotel staff was not very helpful.. They made us change rooms in between our stay of 3 days. The location is good. Breakfast is average. The towels stink which made us feel dirty after a Bath. 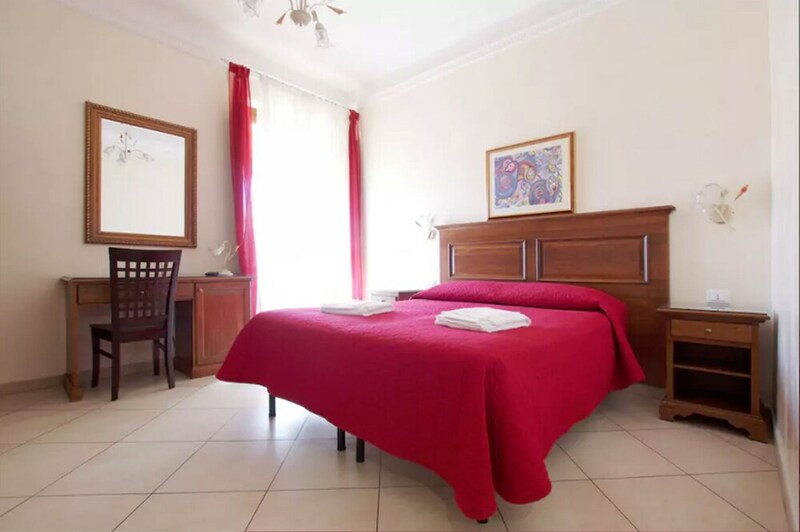 The room was clean and value for money. The hotel did not have a water kettle. This place is around 6-700 from the main station, walkable distance. It has breakfast area but no other food options for the day or night at room, even no water boiler, you don't have much of an eating place near by too. There is a bar or two behind road, Julius Caesar is one such new one. Also, there is not much info for sightseeing or tourism of other areas. Otherwise comfortable rooms and washroom. The location is bit difficult. But services are good. The staff was very polite. The breakfast was very good. The hotel is very close to train, bus, Metro station. There are direct buses and train for airport. It is very good for money you pay for hotel. Very good hotel in that price range. The guys at the reception were very courteous and helpful. The rooms were also nice with good WiFi working across the floors. 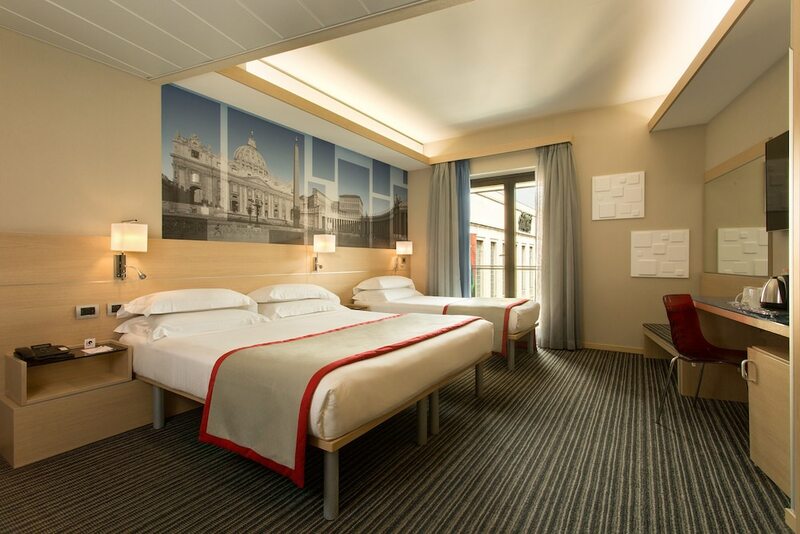 Overall a very pleasing stay of one night at Rome. Not that good for a honeymoon couple. The room was really very small. TV did not have more than 10 channels. Breakfast was very repetitive. Overall I feel it is not worth the money. Ya even the AC I feel did not work properly. Not satisfied. 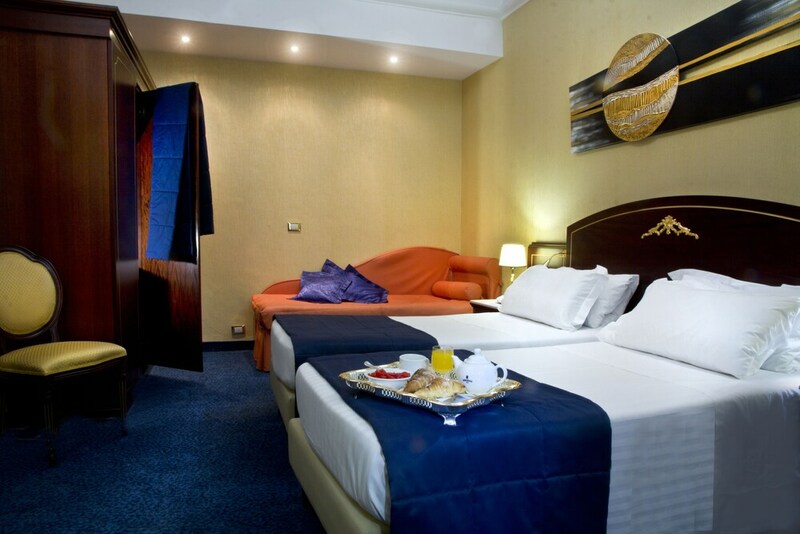 The hotel is located close to Roma Termini, which makes travelling in Rome much easier be it by Bus, Train or Metro. 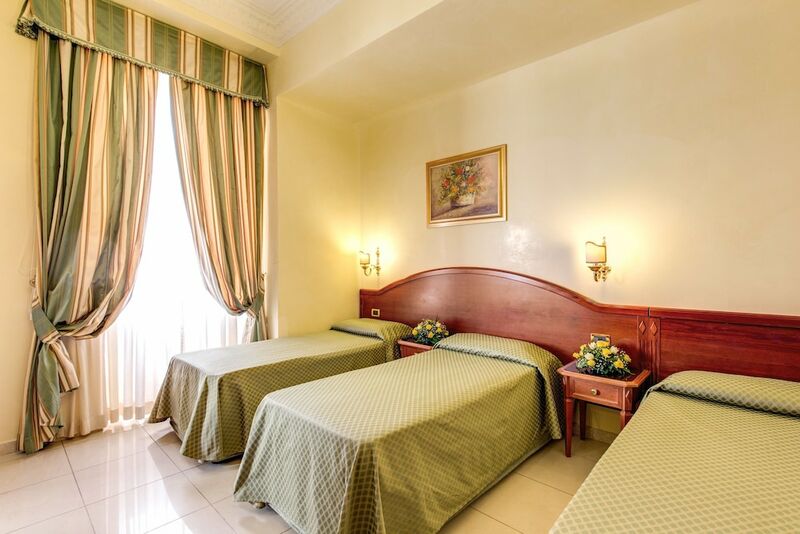 The hotel has good rooms, but the air conditioners are very slow in cooling the room. 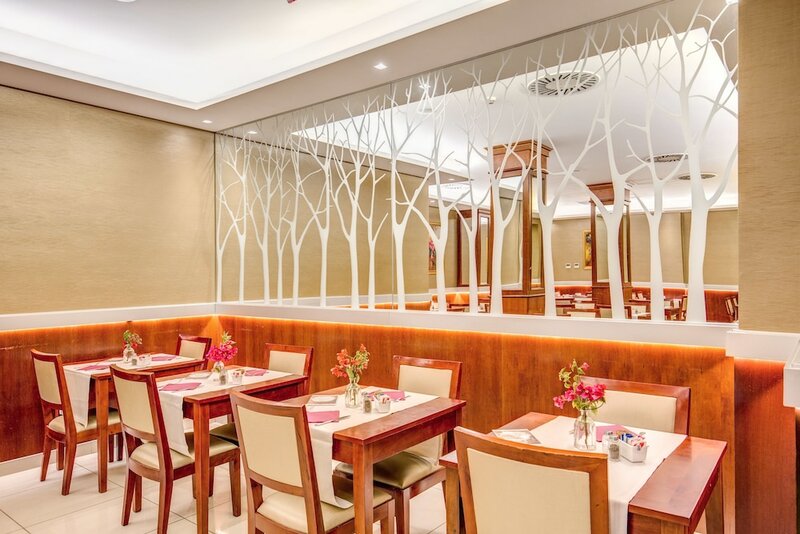 It has a good open restaurant to enjoy the breakfast and other meals. Good enough. But Breakfast must include some cooked dishes like potatoes and/or egg based stuff. Everyone gets sick of eating the same cornflakes, bread butter jam. Also location while not too far from the station it is a tad away from the market area hence lack of eating options. Breakfast was fine, room and hotel was clean, location of the hotel was also good near the main station and the hospitality was also fine. The only problem we faced is that WiFi was not getting connected anywhere in the hotel even after raising the concern.